Are you doing everything you can to get the best RESULTS FROM YOUR MARKETING? Well if this is true, then you've come to the right place! Our free marketing tools and help section has been designed to help you focus your sales and marketing efforts in area that is likely to generate results. 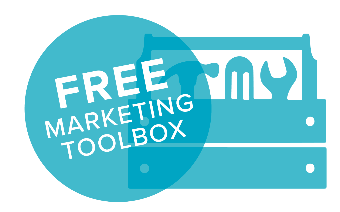 The topics shown in the Marketing Toolbox cover a wide range of marketing areas and are designed to allow you to get stuck in and started at your own pace. Why building a brand is very important, but you do it by selling, not advertising - its the results that count! Your ‘brand’ is the experience people have of you, what do you remember most – the taste of coke, or the coke ads? The way to build a brand is to sell! Ask yourself these four questions before commiting to any marketing idea, it will improve your results and save you a fortune. If you want to succeed, really succeed – then more of your marketing ‘experiments’ will fail than succeed. Keep a record of everything you try in marketing. Your Black Book (the file of EXPERIMENTS that fail), is actually more important than your White Book (the EXPERIMENTS that succeed). Failed marketing is a subject most managers would rather forget. How many times have you spent money on new marketing only to discover it didn’t work! Thousands of business people suffer the same disappointment every year. Yet there is no need for this to happen. The problem lies with the marketing professionals you hire, if they don’t know how to boost your profits with marketing. Unless you like wasting money on advertising - you must read this! DON’T! Even think about improving the look of your ads until you’ve got the message in your ads sorted out. What you say in your ads is four-five times more important than how your ad looks. DON’T! Use too many words in white type on a black background. It’s harder to read! 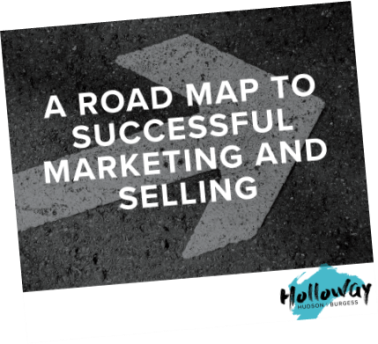 If you think it's about time your business started making money from its marketing rather than losing it, following our four steps to marketing profits is a great start. People say they hate the infomercials on TV and they grumble about direct mail catalogues in their letterboxes – BUT boy do they spend money as a result. Businesses that test and measure their marketing quickly discover that it’s often the ads that people hate that do the most selling. So before you start marketing to build your business you need to decide whether you have the courage to see it through. We all hear stories about companies who make it big on the web, but web success is not easy. Building an expensive website will not drive your sales up. Too many companies have websites that look like brochures with very little information on the home page. One of the most effective ways to boost business is through your website. But has it ever worked for you? Probably not! Next time you talk to an ad rep, or a salesperson from a website company, think hard before you buy anything. Your success has very little to do with advertising – so please don’t be panicked into buying the first newspaper or radio ads (or website or printing deal) you get offered. You’ll only regret it! Some advertising people think that as long as you send something in the mail, it is likely to be effective. Wrong, very wrong! Direct mail can be more effective than almost any other advertising. If you make it interesting to the reader, they will actually sit down and concentrate on it (rare for advertising). But if you do not interest them, it will fail. Simple steps to getting excellent sales results from mailbox flyers. How to tell your best selling story, why black and white flyers work and why it's okay to put your flyer in a mailbox that is already full! I used to think customer newsletters were a waste of time. That was until I wrote one that increased business by 10% (in just one issue). Customer newsletters can be a real bind to produce. You start off with a ‘hiss and a roar’, confident you’ll get an edition out every other month, and by issue two, you fall flat on your face. However, I have learned that they are worth the hassle if you do it right. You don’t need to spend lots on radio, but if you use it sensibly it can generate sales you wouldn’t have achieved otherwise! Most radio ads are a waste of money! The problem isn’t with radio, it’s the people who write the ads. They don’t know how to make them sell! If you follow these tips you can help them get it right. The first step is to ask yourself what your customers are really interested in, so that you can talk to them about it in your ad. Don’t try to make your ad look flash, it costs too much and doesn’t work! ‘Professional’ looking ads will make you feel good, but seldom - if ever, boost sales. We have developed useful techniques to get your TV ads working even on a lower budget as well as help and headline ideas to get you started. DON’T use silly clever headlines that amuse you, but mean nothing to your audience! Use local traffic jams to your advantage – where traffic is slow, use more words! DON’T be fooled into thinking that as long as your billboard gets ‘noticed’ sales will follow – 80% of the time it doesn’t work! AVOID the mistake most billboard advertisers make! REMEMBER that on a billboard your message pulls more sales than your picture! The advantages of promoting your business using an editorial is that because it isn’t written as a typical advertisement, it appears more trustworthy. You cannot help but focus on the problem and solution rather than features, and if you have a good relationship with the publication, it can often be free. Yet, what always surprises me is that none of the people I talk to actively seek or encourage referrals and positive word of mouth. Imagine if your business was already doing well from referrals and then you went out and encouraged it. Holloway’s guide to writing plain English marketing strategies. Managers who prefer simple, pragmatic thinking will enjoy it. If your marketing strategy is to produce effective advertising, it should be brief, and address the real issues. The 8 steps are actually 8 questions. Put each question at the top of a new page, make it your heading, and then under your heading write the answers. If you have happy customers you might as well use them to your benefit! Endorsements, Case Studies, Getting current customers to come to your events and building on your Host beneficiary relationships are all simple cost effective ways to leverage off your existing customer relationships. Most businesses have no idea how to measure their ad results. Consequently, they never find out what works. Holloway’s have developed this easy way to measure ad results. NOTE TO CORPORATES; Don’t be put off by the simplicity of this method – it works better than what you’re doing now! By Following these two simple steps, you will be able to set up a system that all members of your team will be able to follow. Did you know that 80% of people will read a headline? Use these 6 rules to increase the chance of them reading yours! 1. Mention the prospect and his or her interests. 2. Use news relevant to your message. 4. Mention your business and your product or service. 5. Long headlines are usually more effective. 6. Reticular Activating Devices “forgive the jargon” are very powerful in headlines. At last! How to successfully brand your company without all the silly 'hoo-hah' that design shops and ad agencies charge you for. Used correctly, branding builds ‘a strong awareness of your product (and the benefits it delivers) so that people will want to buy from you’. But, “ad people” have ruined branding, by making it into the shallow pastime of entertaining people with cool advertising that is almost always remembered, but may not have much effect on sales. The interesting thing is that all successful businesses – the ones who grow huge from marketing – are using the five boxes to get better results, even though many of them are not even aware of it. This simple formula shows you where your leads are coming from, how these leads are being converted into sales, their average spend and what profit you as a business owner make. It provides you with a powerful picture of where your business is at and where you need to increase your time and effort. If you’re able to understand the importance of seven touches within your sales process your well on the way to getting the sale. One of the clichés out there in the marketing world is that it takes at least seven touches to convert a cold customer to a sale. This is actually true. Basically the more touches or contact you can have with a prospective customer in as many ways as possible, the more likely you are to build strong relationships and in turn sell your product or service. Are you happy with the return you are getting from your marketing spend? Here are six simple ways to use your ‘list of customers’ to get double your responses – and cut the amount you spend on ads in half. There are three key types of offer to use in marketing. And all your marketing should carry some kind of offer. Many people make the mistake of avoiding using offers because when they think offer they immediately think “discount” and they do not want to use discounts for obvious reasons. Don't believe what your advertising reps are telling you is right? Next time an ad rep or someone from an ad agency or design shop tells you one of these lies, throw them out on the street! Wealthy business people get that way because they know which marketing to do, and which to stop. What about you? Try answering these four questions 1st before you check the answers. What is the most important thing in your business? Its people, people, people. A great team is one of the best assets a company can invest in. I can't stress enough about the importance of people to a business. More often or not companies crash and burn because of people issues rather than because of failure of technology, lack of financing or any of the other things. Do you ever cringe when you hear your people talk to your customers? If you worry about the way some of your team treat your customers, but feel you can’t do anything about it because of employment laws – HERE’S WHY YOU’RE WRONG! As a business owner, you will know the importance your team plays in your success. And that is why it is important to get the most out of your team as you can. And I don’t mean cracking the whip and enforcing them to work longer hours for less pay. I mean creating an environment where they want the business to succeed and where your success means their success. It doesn’t take much to see that online marketing is growing in importance by the second. With the rapid uptake in smart phones, tablets and other mobile devices, the internet is at our fingertips almost everywhere we go. Gone are the days where we search for service providers in the yellow pages. Today is the age of Google and we need to keep up with the play if we want to succeed.